There was high energy in the theater! Music, cheering, everyone was buzzing. Then the community building began. Oprah’s audience producer came on stage. She encouraged the audience to say hello to the people you were sitting by and to start having fun! I met a nice person named Carol who was there by herself! There was a great big group hug and the audience was all one with Oprah! The evening contained so many “Ah-Ha” moments that connect with the Community of Learners component of the eMINTS Intructional Model. Wow the audience producer developed the community and energy in the room from the moment we walked through the door! There was music, dancing, and discussion. How might we do this in a classroom day after day? One of my favorite quotes from the night came for guest Iyanla Vanzant, “You are responsible for the energy in the room.” As teachers, we are ultimately in charge of the energy in our classrooms. As the end of the year sneaks up on us and testing is lurking right around the corner, I want to stay mindful of this quote. I have to choose my attitude and the impact it has on the children in my room. If the students sense I am stressed, tired, worried, that will rub off on them. If students feel loved, cared about, and excitement for learning it will rub off on them. To maintain a positive classroom community, I must maintain a positive vibe towards all my students even as end of the year craziness begins! Our kids need to know we are proud of them and we love them unconditionally. During the show Iyanla Vanzant worked with a man named “Steve” who was suffering from an addiction. The root of the problem was the man did not have a male father-figure growing up. Iyanla did an exercise where she told the man his father would be proud of him and his mother loved him unconditionally. She also called two men up on stage from the audience. One man stood back to back with the man. This represent to “Steve” he had someone to lean on. The other man told “Steve” he was proud of him. I started thinking about so many of our young students who come to school from homes where the idea of someone being proud of them may not be reinforced. What would it feel like to never know someone was proud of me? I began to wonder what might be some possible community-building activities to reinforce the concept that we are proud of our classmates and we can lean on one another. Morning Meeting is one activity where this message could be reinforced. I wonder what the impact would be if twice a week we took morning meeting time to share specifically why we are proud of each other. I am proud of you “Andrew” for being peaceful on the playground. I am proud of you “Sophia” for completing your homework this week. Along with morning meeting classroom teachers plan trust building activities with students. Trust building activities would help students learn they have someone to lean on. Students’ behavior is a way of them acting on their PAIN (Pay Attention Inward Now). When students act out, they are doing so to express some type of pain. If I help students discover how they are feeling, it will help them deal with their behaviors. Throughout the show, Iyanla Vanzant focused on people using I language as they told the story of their pain. For example when she interviewed a convict via Skype the convict described how she felt by saying, “You feel embarrassed, you are reminded of what you did everyday.” Iyanla had the convict change the language to “I feel embarrassed. I’m reminded of what I did everyday.” This helps the person in PAIN own their feelings. Taking the time to listen to students who are acting out and helping them determine the emotion driving their behavior will help them deal with and create a vision for what they want to do in the future. It is through owning these feelings and developing a vision that we start to heal our PAIN and work to making our selves better people. Paraphrasing students when they tell their side of the story, labeling their emotion, and giving them a goal for the future can help them from being stuck in a funk to moving on and being productive member of the classroom community. Don’t become hypnotized by your story. It seems that all teachers have a story, a certain parent, a specific student, an administrator that challenged them as a professional. Don’t let the “story” hypnotize you and become your identity. What did you learn from your experience that you might apply to future situations? Take your story, state the truth as facts, and leave the emotion behind. The anger, the baggage you don’t need in your life. Surround yourself with people who share. A great quote from last night was “You need to be around people who make deposits and not just withdraws.” As you work with teams and committees, give and take. We all need deposits in education! We also need to be willing to share and let others withdraw ideas. How might this analogy be used with students when working in cooperative groups? “You can’t get what you want if you don’t know what you want.” So what do you want your classroom community to look like as you wrap up the school year? How might you be the catalyst for creating a collaborative and peaceful environment? 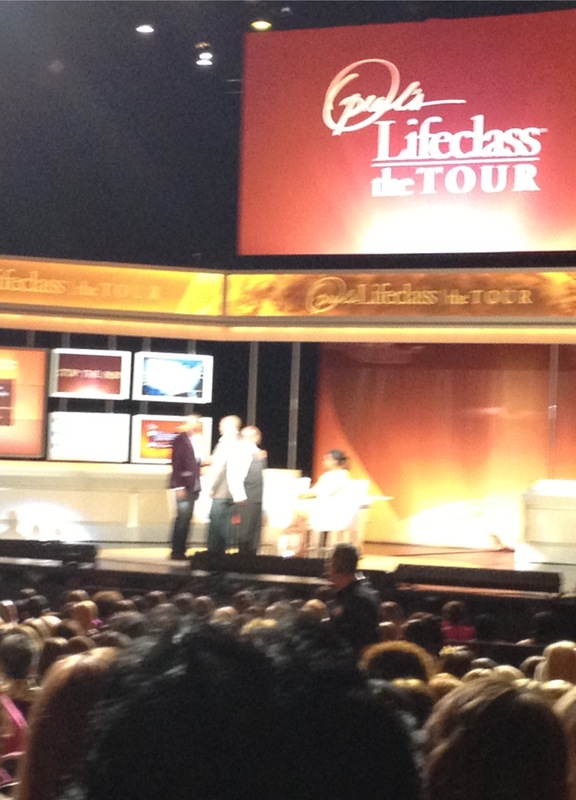 My experience at Oprah was amazing! I had no idea the message of this fun evening would impact my life and my teaching. The lessons Oprah is teaching on her LifeClass show are life lessons! This experience and these lessons will stay with me for a long time! Carmen Marty is an eMINTS Instructional Specialist with the eMINTS National Center. For a few days, it didn’t sink in. I was going to Oprah! I received an email with the details about the show, what to wear, what to bring, what not to bring etc. As the time got closer, I got more and more excited! 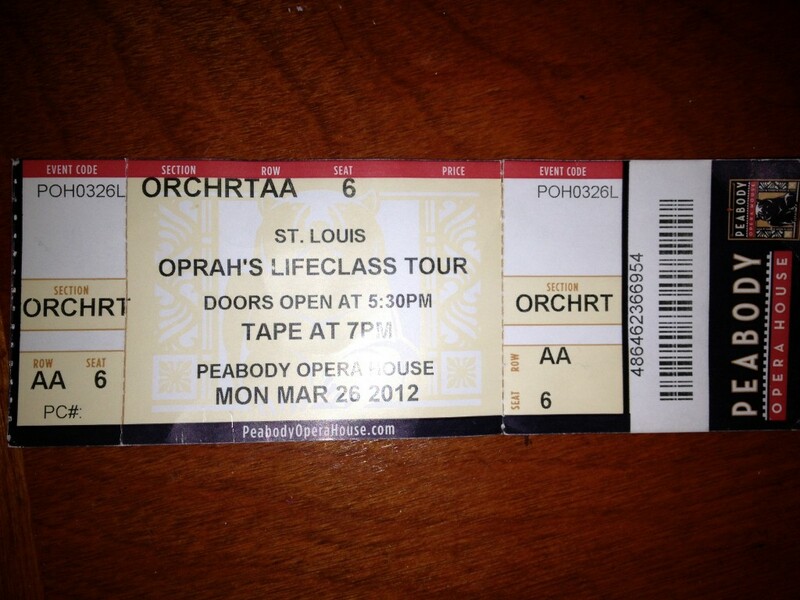 I was going to see Oprah!!!!! As we entered the Peabody Theater, I was overwhelmed with the excitement and energy in the building! This was going to be a great night! I had no idea how inspiring the evening would be or how much Oprah connected with components of the eMINTS Instructional Model. 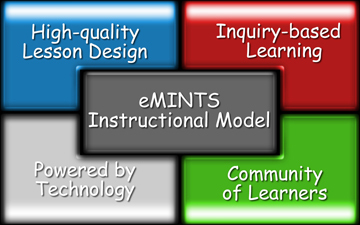 Throughout the night, distinct parts of the eMINTS Instructional Model that stood out in my mind Powered by Technology and Community of Learners. Oprah is very Powered by Technology. I thought it was unique when the letter confirming my attendance included, “Bring a charged Smart Phone or Tablet.” Hmmm, in a society where we are encouraged to put our devices away, Oprah was embracing the online community through tools such as Twitter, Facebook, and Skype. 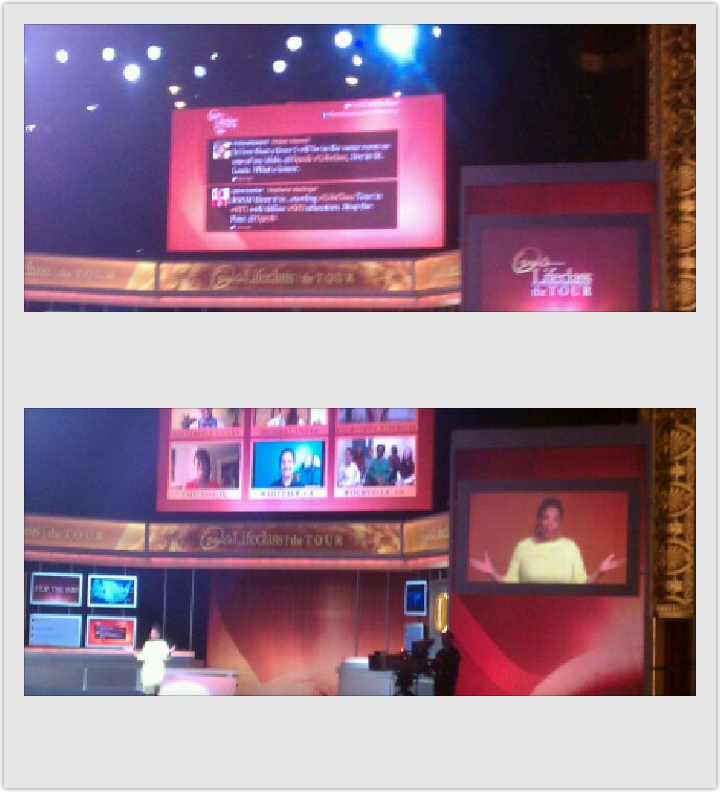 Large screens in the theater posted directions for her Twitter Feed #Lifeclass. Before the show began, people over the theater were tweeting about their excitement and expectations for the show! There was another screen showing live Facebook comments. 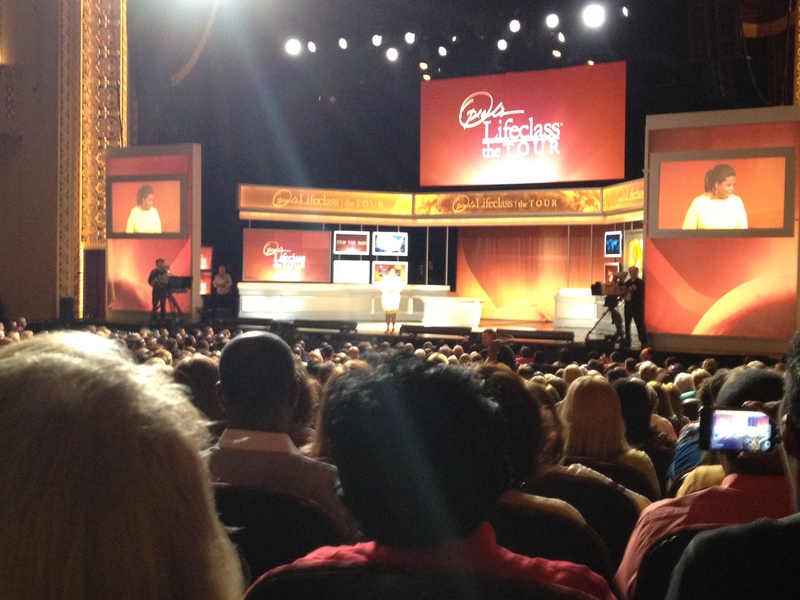 Oprah also had viewers from six different global locations join the show via Skype. Prior to the show, the audience producer encouraged everyone to turn off their ringers, but keep posting throughout the show. They wanted the audience to bring the experience to the viewers at home. They wanted the viewers at home to have an interactive experience. We even did a Twitter Poll. The Oprah network provided the audience free wifi so we could be a big part of the interactive learning, which took place! Throughout the show, Oprah referred to the screen of tweets and Facebook messages. As an audience member, I was on the edge of my seat secretly wishing she’d read one of my tweets. I was encouraged and motivated to keep paying attention to the content of the show, process what I was learning, and share with others via my Smart Phone. How could this tool be used with students? You are supposed to be 13 or older to have a Twitter account. I started to look for some microblogging sites that could be used as an alternative to twitter. We’ve featured Edmodo on our blog before. Edmodo is an online, private, classroom environment. As the teacher, you set up the classroom and students register. There are opportunities for discussion boards, gradebooks, assignment calendars, voting, and microblogging! So how might I incorporate microblogging into a class lesson just like Ms. Oprah Winfrey? Imagine your students working on an inquiry lesson. On the SMART Board you project your Edmodo class site. As the students discover, question, and make authentic connections they post their thoughts and findings to Edmodo. As a class you set up guidelines for the length of posts, what is appropriate content, how to site other classmates if you use their information etc. Using the Power of Technology, students are engaged and interacting. To assist with management, you could designate one person in each group to be responsible for posting information. As the facilitator, you can watch the Edmodo feed and see where your students are with their understanding. You can stop and highlight/summarize big classroom “ah-has”, do mini-lessons on misconceptions, or individualize instruction by providing guiding questions to a specific group based on the data from the Edmodo feed. For a more “global” experience consider connecting with a classroom in another state, country, or school. Collaborate and plan an inquiry project with another teacher and share ideas through an Edmodo online classroom. What possibilities can you imagine for the power of microblogging with students? What are some ways you are currently using microblogging? I was so sad when I heard Picnik was closing its doors. Like Brooke Higgins mentioned in her post Wanted: free and easy photo editing, I loved Picnik and used it for photo editing and creating unique gifts and collages. I even paid for the full membership. When I heard the news the site was closing I started searching for a new quick, easy tool. On my iPhone I found a few apps I liked for editing my mobile images- Instagram, Pixloromatic , and Fun Camera, but I really wanted something I could use to edit photos on my desktop computer. Something easy, full of great features, and free! 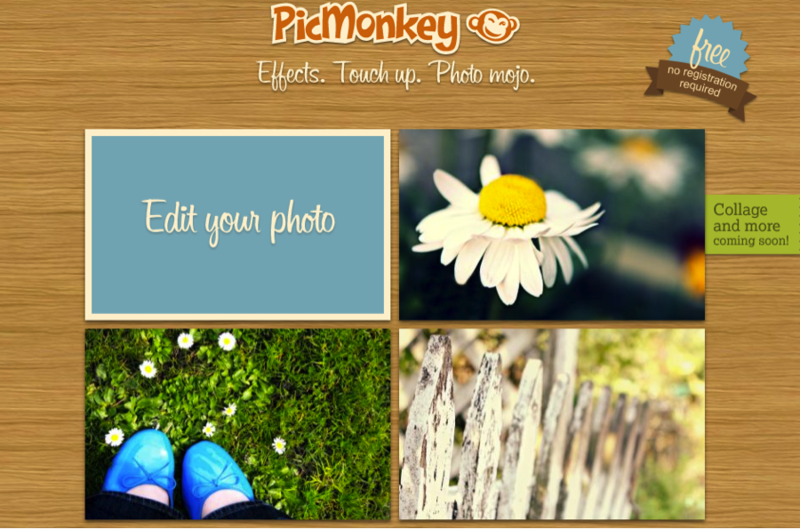 I wanted to add two more options to your toolbox, that may help you replace Picnik (Which is still around until April 19) as a favorite photo editing tool! 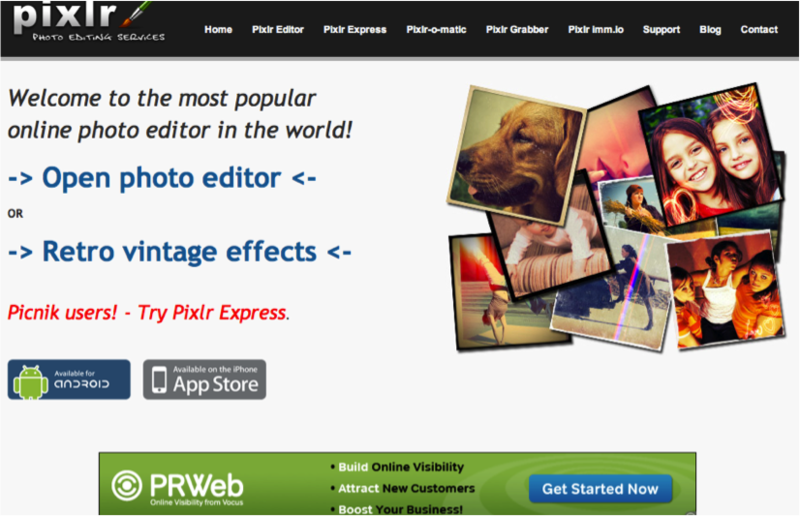 Pixlr- The same people who created Pixloromatic have a feature on their website called Pixlr-Express. Pixlr-Express is free! It does not require a log in. You just upload a photo, or take a photo using your webcam and you can edit it on the spot! You have access to your typical photo editing options- cropping, resizing, red-eye, sharpening, and more. It also gives you a few special color effects, a variety of filter overlays, frames, stickers, and the ability to add text to pictures. You don’t get a million options, but it is free and easy. It helps you enhance an image and save it in just a few quick clicks. The other tool I recently discovered was Pic Monkey. This tool is very “Picnik like.” I did some research and found out it was actually created by some of the engineers from Picnik! Yeah for us!!!! There is no registration required for the basic features. However, to get the advanced features they do ask you to register. (I would recommend registering because there are tons of amazing advanced features!) Currently you can get both basic and premium features for free. The freebie deal will end in a few months and if you sign up now, you will get a coupon for a discounted subscription in the future. Once you upload your photo, you see a very clean, user-friendly interface. Along with your basic editing tools of cropping, rotating, auto adjust etc., you get much more. The site offers 25 different special effects from the categories of Basic, Camera Look, Paintbox, Area, and Artsy. These features help make your snapshots look like masterpieces. In the touch-up section you can reduce wrinkles, add lip-gloss, change your eye color, and even reduce your weight. Pic Monkey provides a many, many overlays that help you increase the interest of your photo by adding accessories such at beach objects, comic bubbles, flowers, butterflies, and shapes! 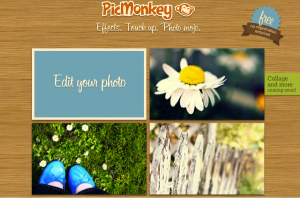 Along with text and frame options, Pic Monkey is an amazing resource for adding a ton of creativity to your digital images! As I explored these tools, I thought about how students could use these tools to support the NETS-S of creativity and innovation. “Students demonstrate creative thinking, construct knowledge, and develop innovative products and processes using technology.” How might you use Pixlr-Express or PicMonkey to encourage creativity and innovation in your classroom?